Dysphagia is among the most common conditions in home health patients and poses a great risk for re-hospitalization. Teaching and guidance on the National Dyphagia Diet (NDD) Dysphagia Diet for patients with swallowing, feeding and eating difficulties should be included in your HHA's home health clinical policy and procedure manual. The easiest way to describe dysphagia is difficulty in swallowing. It is very important to recognize the symptoms of dysphagia because if left undiagnosed, it can cause other problems like dehydration or malnutrition. 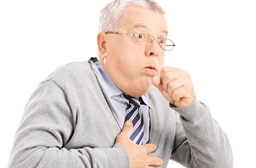 Some have a tendency to develop chest infections like aspiration pneumonia which would later on require medical treatment and re-hospitalization. • Coughing or gagging when swallowing. • Food or stomach acid backing up into the throat. • Sensation of food getting stuck in the throat or chest, or behind the breastbone. • Bringing food back up (regurgitation). • Difficulty controlling food in the mouth. • Difficulty starting the swallowing process. • Inability to control saliva in the mouth. • Patients may feel like "the food has got stuck."